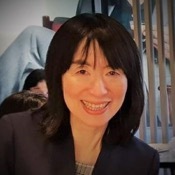 Traveler Review for Private Tour in Tokyo, Japan by Tour Guide Yasuko N.
About Yasuko N. Message Yasuko N.
I was hesitant to tour Tokyo by myself so when I found ToursByLocals I immediately booked a tour with Yasuko. We communicated frequently by email and worked out the logistics of meeting at Shibuya Station. She shared information about Yanaka so naturally I felt as if I was touring with a friend. She's delightful, enthusiastic and charming. I truly enjoyed my time with her! TOUR GUIDE RESPONSE: I greatly appreciate your warm comment. I was so lucky to have you as my client, co-traveler, and friend. I remember how misty and mysterious Yanaka was after a rain. We lucked out everything. Thank you for choosing my tour.